Subtle colors and soothing design, this exclusive handmade carpet has been woven with utmost precision. It has an overall Kashan pattern and is made in 100% New Zealand wool and cotton material. It is a pure Persian carpet. 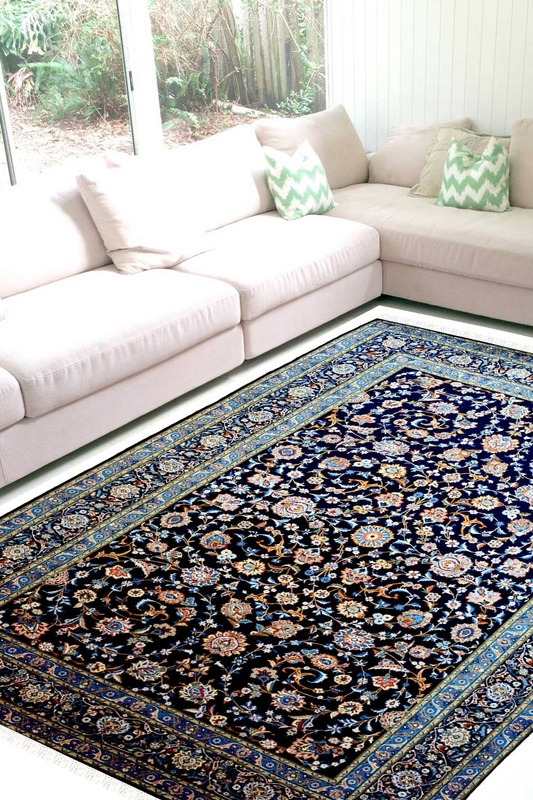 Exclusive hand-knotted New Zealand wool carpet in an all over Kashan design pattern with tiny floral motifs. The design has been originated from a town in Persia called Kashan. It has a dark blue ground with an ivory border. Most suited for a space with white and neutral colors. This rug is of high quality and is 100% washable.